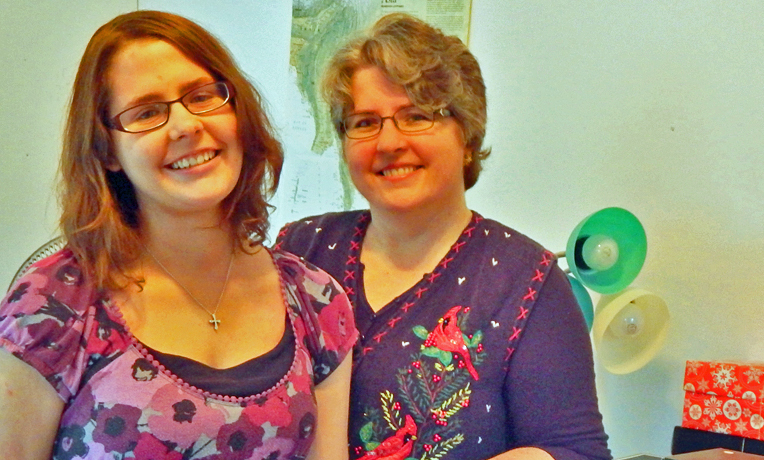 Winter and Suzanne Broadhurst get their church excited about Operation Christmas Child. “Get your cans and don’ts! Red hot cans and don’ts!” Suzanne Broadhurst enters the back of the sanctuary at Westside Chapel in Jacksonville, Florida, during a Sunday morning service yelling like she’s selling food at a baseball game. Her daughter, Winter, echoes, “Cans and Don’ts!” in a drawn out voice. Shoeboxes hang around their necks like a vendor’s hot dog case. “We’ve got Operation Christmas Child cans and don’ts right here!” cries Suzanne. “You can pack a cardboard shoebox,” shouts Winter. “And you can pack a similarly sized plastic shoebox,” adds Suzanne. The pair continues a two-minute skit about the do’s and don’ts of shoebox packing, one of three original pieces they have created for their church since they’ve gotten involved with Operation Christmas Child. They enjoy blessing their church with this service—and blessing children around the world with shoebox gifts—despite all they have been through. For nearly 20 years, Winter and her brother Grant battled life-threatening allergies that took them to Duke University Medical Center in North Carolina and National Jewish Health in Colorado. But about four years ago, they realized as a family that they had something they could give. “We wanted to reach out in the way God had touched our hearts—through tangible love,” Suzanne said. Operation Christmas Child was the perfect ministry. The Samaritan’s Purse project delivers good news and great joy to millions of children around the world through gift-filled shoeboxes. Boys and girls learn about Jesus Christ, God’s greatest gift. The Broadhursts began hitting clearance racks to fill shoeboxes even though money was so tight they found themselves hesitating before selecting some items thinking, It’s a whole dollar! That’s a lot right now. 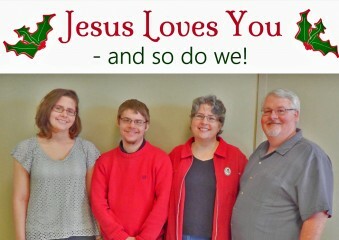 “The real passion behind it was having an opportunity to attach the tangible gift of His love with the gift He gave on the cross,” Suzanne said. Each of the Broadhursts boxes are individualized with hand-made crafts. After that first year, Suzanne volunteered to be the Operation Christmas Child project coordinator at her church and started blogging about shoeboxes as well. She continues that today, encouraging others to get involved through a fall weekly countdown, stories of impact, and practical tools for packing shoeboxes. One such tool is a crochet hook. 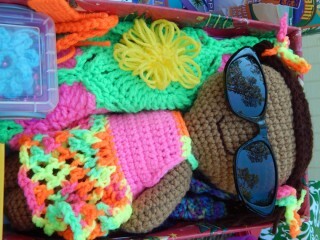 Suzanne started by making pencil cases and hair bands to add a personal touch to the boxes her family filled. She shared photos of these creations on her blog and soon began developing patterns of crocheted shoebox fillers for others to use. Now she has a section on her blog called “Causes to Craft For”. Suzanne crochets so much for Operation Christmas Child that she shares her extras with her church during their annual “Shop for Your Shoebox” event. She and other crafters at Westside Chapel line tables with handmade creations as well as other filler items to complement what people have already selected for their boxes. Suzanne emphasizes that the starting point for Operation Christmas Child is thankfulness. “It’s so powerful we end up trivializing it,” she said. This changed how Suzanne looked at her shopping for others as well as her own family. 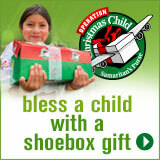 One of the biggest obstacles to packing shoeboxes can still be financial, but Suzanne said God always provides. Suzanne’s family puts a picture of themselves in each of their boxes. Last year they put together roughly 25 shoeboxes and found themselves over what they’d budgeted for the shipping. They asked the Lord to make up the difference. The next Sunday a lady approached them at church saying, “We weren’t able to put together boxes, so are there boxes that need shipping money?” She wrote a check for the exact amount still needed. A couple hours later, a friend sent her a message on Facebook and asked, “Suzanne, would you like some yarn?” She brought her three large bags full of yarn! *The suggested per shoebox donation is $9 as of 2017.